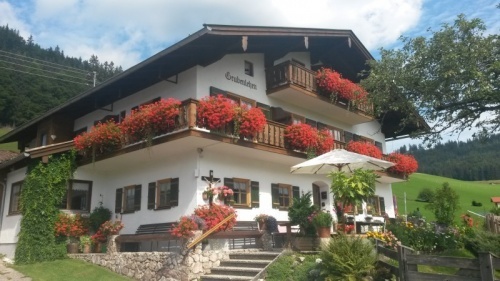 Spend your vacation in our cosy farm, your „holiday-home“ Pension Grubenlehen in calm situation in the nice Ski- and walkingarea \"Hochschwarzeck\" with a wonderfull view to the mountain-world of Berchtesgaden, apart from the laud streets, but not far away from the center Ramsau, we accommodate many for decades content vacation guests! 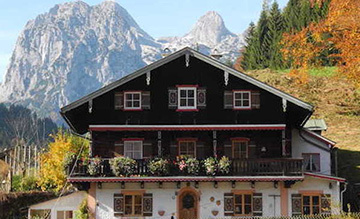 We manage a small milk cattle enterprise in a natural alpine landscape with intact, clean environment. 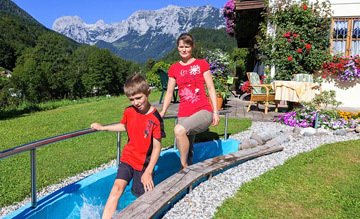 Begin your day of holiday with a rich breakfast on our sunny terrace or in our inviting breakfast- and livingroom, if you want with fresh milk of our cows. After a experience-rich day you find in our cosy double rooms peace and relaxation. 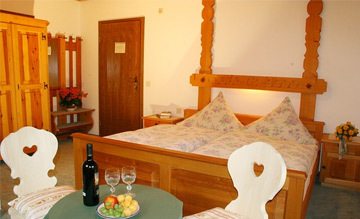 Exchange in merry round with other holidays guests your experiences in the traditionally farmer-room for guests with a glass beer or wine in the evening, You find a large offer of beverage, feel like at home! 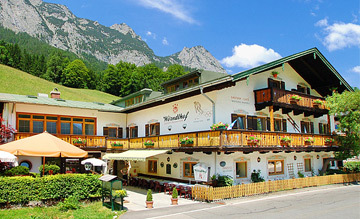 Near our house there are some realy good restaurants with bavarian specialities and much other good meal, you can reach there on foot in a few minute, connect your dinner with a nice evening-walk! Become our guests, we look forward to you!